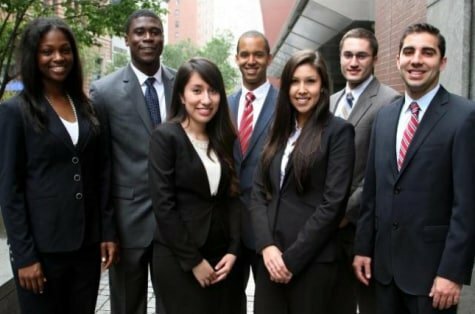 SEO New York launches the Career Programme, the first summer internship programme for under-represented college students on Wall Street. 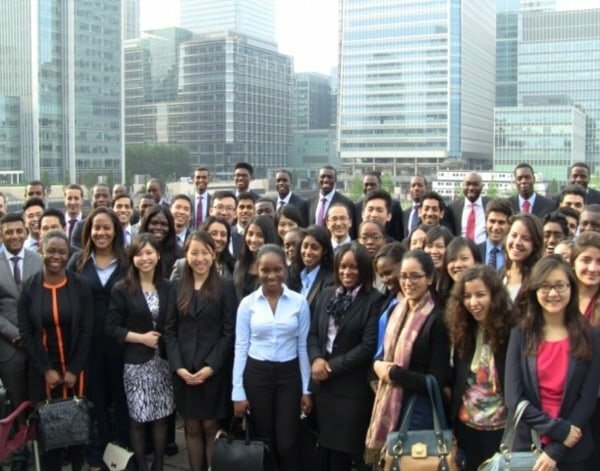 In a pioneering diversity initiative, eleven summer interns are placed at five investment banks. SEO London is founded by SEO New York Career alumnus, Andrew Fairbairn. Andrew moves to London with a leading investment bank and witnesses the same opportunity to increase workplace diversity using the SEO New York model. 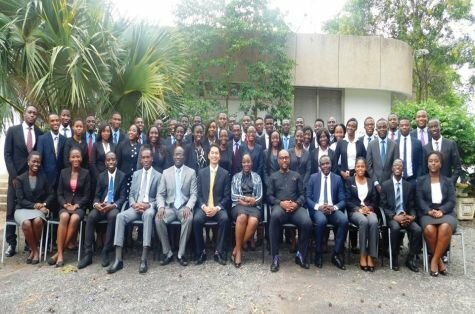 That summer, 7 interns start at 5 major investment banks. SEO London launches the Schools programme to serve high achieving year 11-13 pupils from low socio-economic backgrounds. The Schools programme broadens students’ horizons through access to academic, professional and enrichment opportunities. SEO London launches the Connect platform to support SEO Careers alumni and like-minded professionals as they progress their careers, through providing experienced hiring opportunities. 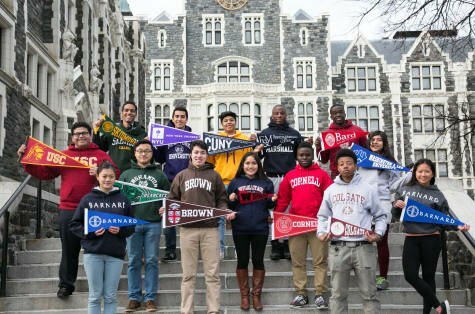 SEO USA is considered one of the most innovative and successful educational, career training and professional development programmes for high school and college students of colour in America. SEO USA’s Career Programme now has over 12,000 alumni and supports students into leading industries such as consulting, investment banking and corporate law. 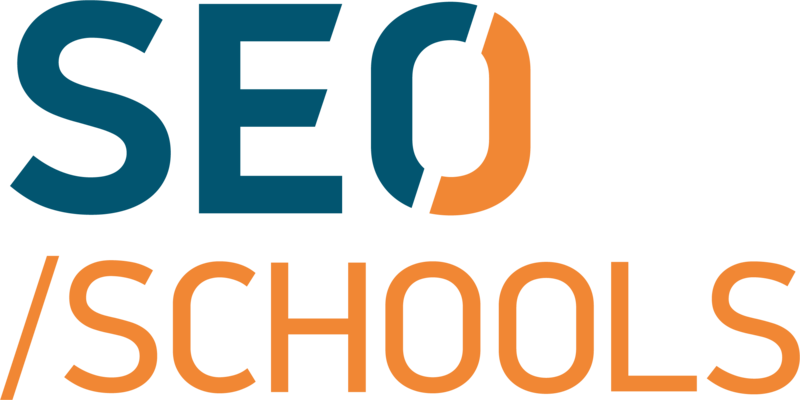 SEO USA’s founding program, is now SEO Scholars, a rigorous eight-year out-of-school academic program that begins in the 9th grade and continues through college graduation. Driven by SEO alumni leadership, the SEO movement is growing across the globe, with the establishment of SEO Africa, SEO China and SEO Vietnam. Qualifications: BA Economics at Stanford University, MA International Development Policy at Stanford University. Professional Experience: Managing Principal at Fairbairn Ventures, Founding Partner at JVKelly Group Inc., Vice President at Deutsche Bank. Top career tip: Trusted relationships matter. Develop mentors, sponsors and protégés as you develop your skills and experience and you'll be amazed at how far you can go. Professional Experience: 15 years' experience as Senior Financial Accountant in the non-profit sector. Top career tip: Perserverance is key! Qualifications: BA Accounting and Finance (Hons), London South Bank University, F1-9 ACCA, AAT Qualification, North West Kent College. Professional Experience: Accounts/Finance Assistant and Account Payable. Top career tip: Failure is a part of everyone's life, but don't let your failures bring you down to giving up. Instead, use them as a platform to motivate yourself to success! Qualifications: BA Mathematics at Mount Holyoke College, BE Bio-medical Engineering at Dartmouth College, USA. Professional Experience: Programme Manager at SEO London, Associate at Goldman Sachs. Top career tip: Build relationships! Qualifications: BA (Hons) Politics and Sociology, University of Sussex. 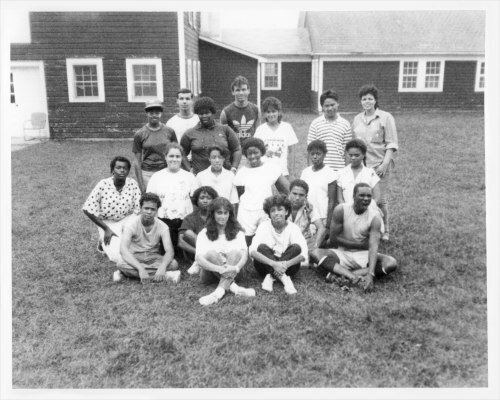 Professional Experience: School Co-ordinator at Upward Bound. Top career tip: Show off your best qualities in all of your professional ineractions. Qualifications: BA International Relations & Peace Studies at Leeds Beckett University, MSc African Studies at University of Oxford. Professional Experience: Internationally recognised Diversity & Inclusion expert, with over a decade of experience working with International organisations such as the UN as well as grassroots organisations on strategies and frameworks for racial, ethnic, gender and other forms of equality. Motivational speaker, Author and Award-winning Poet. Top career tip: When you have reached your comfort zone, put a stone in your shoe and grow! Qualifications: BA English at Bournemouth University. Professional Experience: Media consultant and Features at Newsquest Media Southwest, Envision Charity Start up Graduate & Mentor. Top career tip: Learn how to ask questions properly. Asking the right questions to the right people will get you a long way. Qualifications: BSc Economics at London School of Economics. Professional Experience: Structured Credit Trading Associate at Lehman Brothers, Front Office Risk Management VP at Nomura. Top career tip: Networking is key - build your network early on and don’t be afraid to ask for help – if you never ask, the answer will always be no. Qualifications: BSc Accounting & Finance with Placement Year, University of Southampton. Professional Experience: Peer Learning Project Officer at University of Southampton Business School Educational Development Office. Top career tip: All experience is good experience. Grab the opportunities as they come to meet new challenges, gain new insights and build new relationships. Qualifications: BSc Business and Management studies, University of Sussex. Professional Experience: Work experience with Investec in London. Worked for an export, import company in multiple cities in China, including Shanghai, Guangzhou and Hong Kong. Top career tip: Hard work leads to success. Qualifications: BA Economics with French at University of Nottingham. Professional Experience: Debt Capital Markets at Citi. Top career tip: Use university as a platform to develop your talents and discover both your strengths and weaknesses. A career is a journey and not a destination so be open, speak to lots of people and seek professional opportunities that will stretch and interest you, as well as expand your network. Qualifications: Pharmacutical and Cosmetics Science, De Montfort University. Professional Experience: Customer Care Officer for Central North West London NHS service. Top career tip: Ensure you follow the three Bs that build experiences and relationships for a successful career – Be curious by asking questions, Be adaptable to add value to yourself and your team and Be visible by being on people’s radar. Qualifications: BA (Hons) History, Queen Mary University. Professional Experience: Worked within the education sector with pupils in Year 5 and 6 and as a Corporate Social Responsibility Associate at Mitsubishi UFG and Liberty Specialty Markets. Top career tip: Let your work speak volumes about you and always be eager to learn. Qualifications: BSc Economics with Placment Year, University of Surrey. Professional Experience: Undergoing an Industrial Placement Year as HerCapital Programme Co-ordinator. Top career tip: Grab new opportunities that push you outside of your comfort zone, for those are the opportunities that produce the most growth! Qualifications: BA Hons French with Linguistics, King’s College, University of London; LLM International Economic Law with Justice and Development, Birkbeck College, University of London. Professional Experience: Project Coordinator and Caseworker with the UKBA and UNHCR Gateway Project, Recruitment Consultant at third sector recruitment specialists Harris Hill, sourcing talent and undertaking projects to and beyond set targets. Top career tip: Strive for excellence, be yourself and be open to bold new opportunities. Qualifications: LLB Law at University of Hertfordshire, Diploma in Professional Skills at University of Hertfordshire. Professional Experience: Project Manager at VNV Live Limited, School Student Representative Organiser at University of Hertfordshire. Top career tip: Pursue excellence and success will naturally follow. Qualifications: BA History, University of Birmingham. Top Career Tip: Don't limit your challenges - challenge your limits. Qualifications: BSc Psychology, University of Portsmouth. Top Career Tip: Aim high! Professional Experience: Chairman Emeritus at Edwin Gould Foundation, President at Arthur Schmidt & Associates Inc. 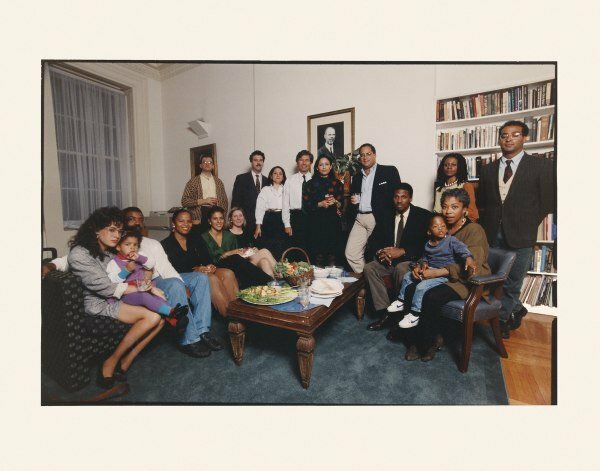 Qualifications: BA History at Yale University and MBA at Stanford Graduate School of Business. Professional Experience: Head of European Transportation/Senior Advisor at Evercore, Managing Director and Head of European Transportation and Infrastructure, Investment Banking Division at Morgan Stanley, Managing Director and Head of European Transportation, Investment Banking Division at Goldman Sachs. Top Career Tip: Relationships are everything. People who know you and like you, will help you. Get to know your junior and senior colleagues as they will become your best mentors. Qualifications: Phil Economics & Politics of Development at Cambridge University, MBA at Wharton Business School. Professional Experience: Financial Analyst at Morgan Stanley, Commodity Trader at Phillip Bros Inc, Market Analyst at Glencore. Qualifications: Bristol University (LLB Hons) at College of Law Guildford, Solicitor of the Supreme Court of England & Wales, Solicitor of the High Court of Hong Kong. Professional Experience: Partner and member of the Global Executive Committee at Winston & Strawn LLP, Trustee at The Climate Group (not-for-profit), Partner and Head of Business & Finance London at Morgan, Lewis and Bockius LLP, Associate at Turner Kenneth Brown (London and Hong Kong). Top Career Tip: Seek out and absorb as broad an experience as you can. Think internationally, think laterally and always thank people for their efforts. Qualifications: BSc Economics at London School of Economics, MSc Economics at London School of Economics. Professional Experience: Managing Director at Coombe Advisors, Head of Sales and Marketing at Morgan Stanley Private Wealth Management, Head of the EMEA Global Private Client group at Merrill Lynch. Qualifications: BA Politics, Philosophy & Economics at Oxford University, CFA. Professional Experience: Partner and Head of Private Capital at Goldman Sachs. Qualifications: BA & MEng Information Engineering at Cambridge University, CFA. Professional Experience: Chief Risk & Strategy Officer at Plutos Sama LLC, Managing Director at Distressed Capital Management, Director at Deutsche Bank. Previously at UBS and JPMorgan. There are currently no vacancies to join the team at SEO London. To find out more about opportunities to volunteer, mentor, or become a sponsor firm, click here. Students, alumni, firms, volunteers and donors we would love to hear from you.